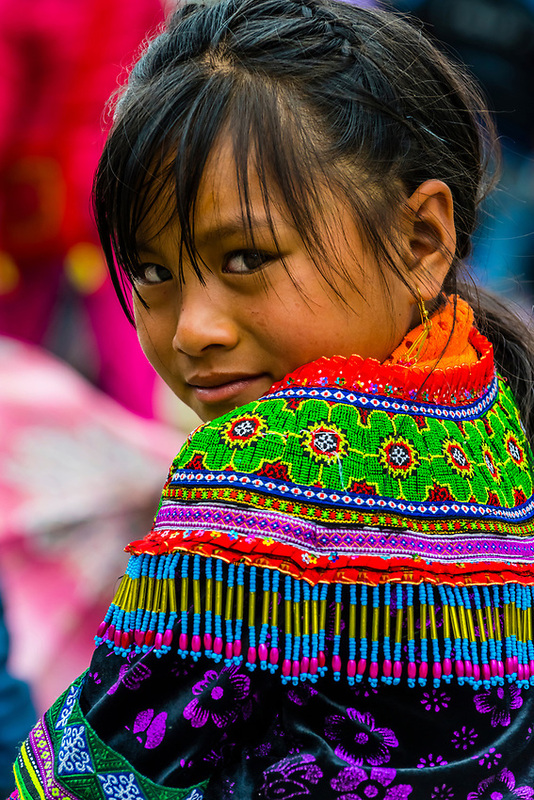 Flower Hmong (hill tribe) girl at the Sunday market at Bac Ha, northern Vietnam. Every Sunday ethnic minorities come from surrounding villages and hills to buy and sell everything from homemade wares to farm animals such as chickens, pigs, horses and buffaloes. Ha, northern Vietnam. Every Sunday ethnic minorities gather to buy and sell everything from homemade wares to farm animals such as chickens, pigs, horses and buffaloes.